If you are unsure whether you need glasses or would like to check your eyesight on a regular basis without the need to go to an official optician. You might be interested in a new award-winning eyesight checking system which has already won Best of innovation at CES 2017 and takes the form of the EyeQue Personal Vision Tracker. 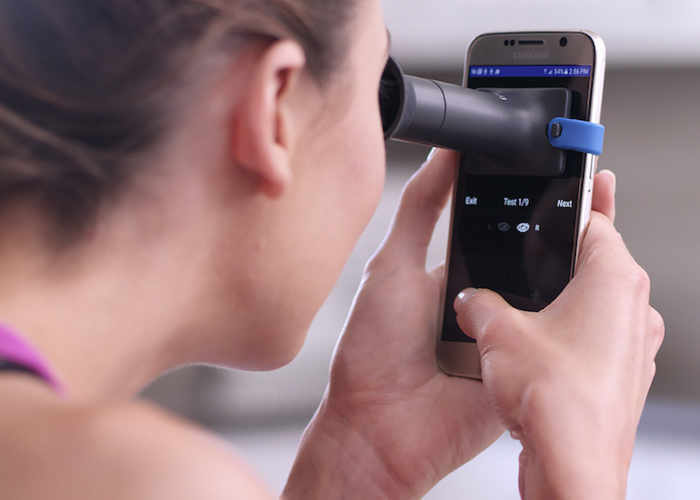 Using the power of your smartphone together with a custom-built eyepiece the EyeQue system is capable of testing and tracking your eyesight. As well as ordering new glasses with your exact prescription whenever required. 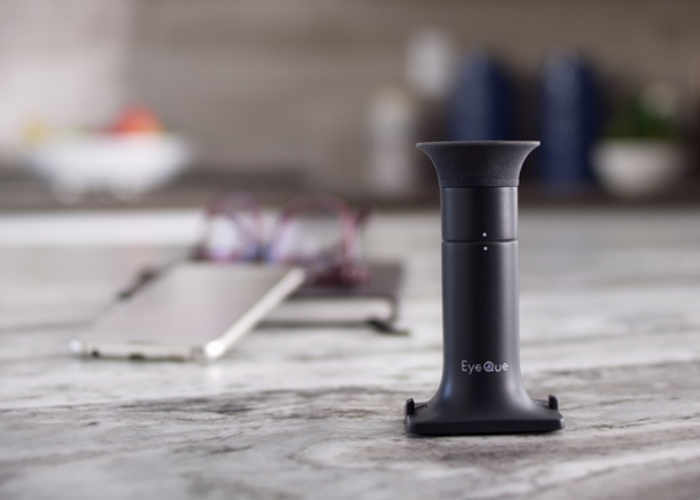 Watch the demonstration video below to learn more about the EyeQue eyesight checker, which is taken to Kickstarter this week to raise the $25,000 the team requires to take their eyesight checking system into production. Pledges for EyeQue start at just $18 for super earlybird backers offering a 40% discount off the recommended retail price. We are EyeQue and we are here to elevate eye care! We have one question for you: Are you seeing 20/20? If you are like most Americans, your last eye exam was more than a year ago. Whether or not you wear glasses today, your eyesight may have changed since you last checked. Wouldn’t it be great if you could check it yourself, using your smartphone and a small attachment? As of today, about 80% of all Americans over 13 years of age own a smartphone. Why not use something you already carry around to check your eyesight? EyeQue’s Personal Vision Tracker has been honored by the prestigious international consumer electronic show CES 2017 Innovation Awards from the Consumer Technology Association (CTA), as BEST IN SHOW! The Personal Vision Tracker includes the hardware (the miniscope) and software (myEyeQue app). The miniscope is a sophisticated optical equipment. Don’t let its humble appearance fool you. Inside the smooth and rounded tube hides several highly engineered, expertly designed, and intricately manufactured lenses that can give you a measurement of your eyes’ refractive errors in minutes. For more information and to make a pledge from just $18 to own your very own EyeQue smart phone eyesight checking system jump over to the Kickstarter website via the link below.